In today’s News & Notes, Ryan Kesler is being re-evaluated for an injury, David Backes is a healthy scratch and the Calgary Flames will be short-handed Wednesday night. 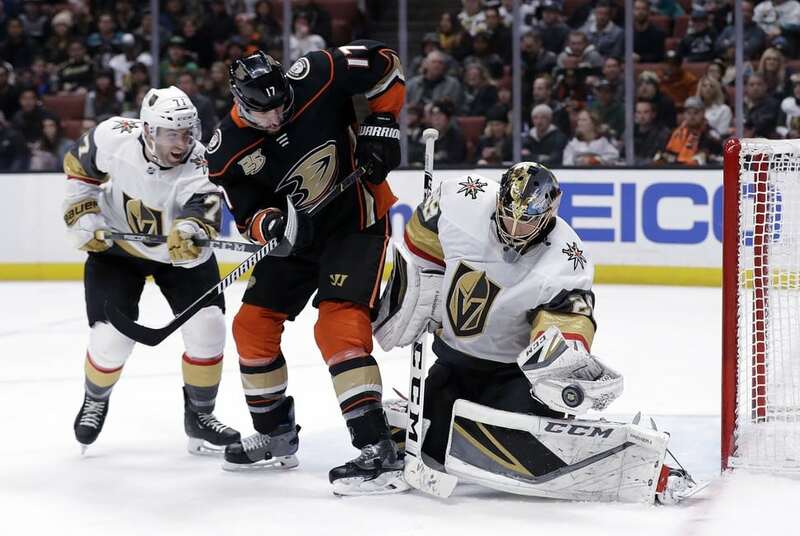 After he was Taken out of Tuesday’s game during the second period against the Detroit Red Wings, the Anaheim Ducks have sent Kesler back to Anaheim to be re-evaluated for injury. This is going to keep Kesler out for at least the next three games according to Eric Stephens as he’s expected to miss the remainder of the team’s road trip. Kesler has scored only four goals and six points in 44 games this season. That’s not good news for the Ducks considering he only scored eight goals and 14 points in 44 games just a season ago as well. He’s no longer the perennial 20-plus goal scorer who excels on both sides of the ice anymore. This is even worse news for the Ducks given the fact that Kesler has no intentions of waiving his no-movement clause. The Bruins will be without Backes on Wednesday night when they take on the Philadelphia Flyers on the road. 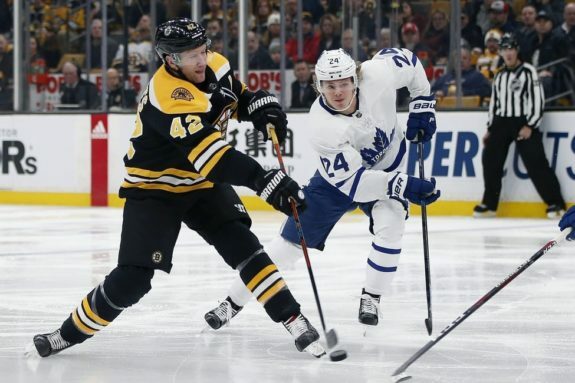 With the team finally playing at full health (minus Joakim Nordstrom), the Bruins are at a point where they have to start making tough lineup decisions. While Backes shouldn’t necessarily be a tough lineup decision, he’s still played significantly better as of late than he did to start the season and he brings a physical element to the Bruins that they miss otherwise from their forward group outside of Chris Wagner and Noel Acciari. Worst thing as a coach, I’ve always found is telling a player they’r enot in the lineup, telling a player they’re doing down to the minors. Ones going to the minors is a little different, they’re younger, it’s part of the business. This one was one of the more difficult ones. This guy’s bene a captain in the National Hockey League, a real solider, good player for a long time in this league. But honesty is the best policy I believe and we judge our lineup on performance first and other factors, how does the chemistry work? And in this particular case we’re looking for a player to go up on that seond line and find some consistency so we’re giving another player a chance. I think David would be a great fit with Acciari, Wagner and Kuraly but they’ve played pretty well. They all sat at the beginning of the year so you can’t unish them to reward another. So that’s the difficult part of it. We had it and hopefully things sort themsleves out and we go forward. 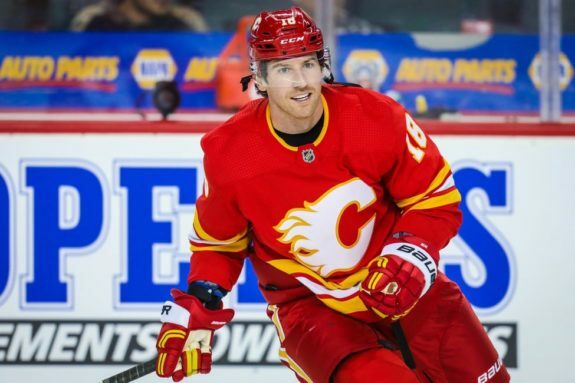 The Calgary Flames will be without both James Neal and Travis Hamonic when they take on the Buffalo Sabres on Wednesday. Neal is out with the flu while Hamonic is set to miss his second consecutive game as he tends to a family matter. Neal has scored only four goals and 10 points in 46 games this season after scoring 25 goals and 44 points in 71 games in his first season with the Vegas Golden Knights just a season ago. He’s scored upwards of 20 goals every single season of his career dating back to the 2008-09 season with the Dallas Stars, Pittsburgh Penguins, Nashville Predators and the Golden Knights. Hamonic has scored three goals and 12 points in 38 games this season, both of which are improvements on his one goal and 11 points in 74 games from a season ago, his first with the Flames.